The Committee on Foreign Affairs (AFET) jointly with the Committee on International Trade (INTA) held an exchange of views with Australian Foreign Minister Julie Bishop and Trade Minister Steven Ciobo. 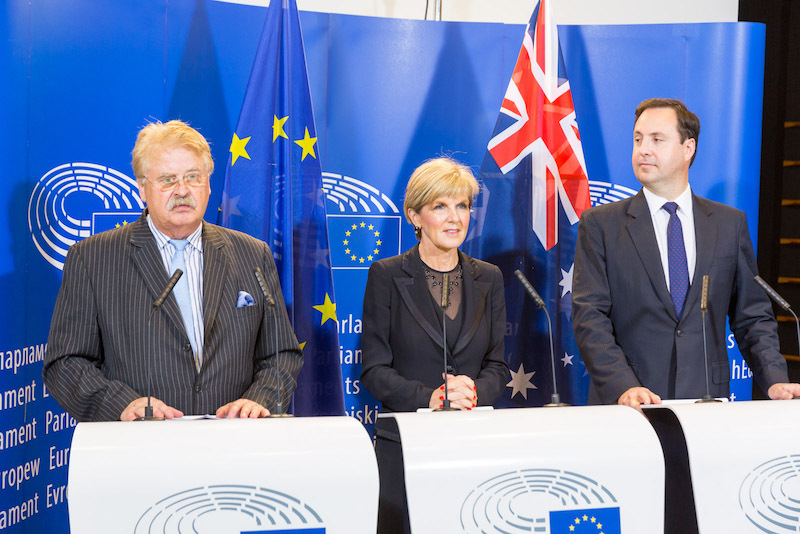 AFET Chair Elmar Brok stressed the importance of the EU’s partnership with Australia and mentioned in particular cooperation in the fields of trade and investment, security and counter-terrorism, and development. He expressed hope that the political Framework Agreement will be signed later this year and that the forthcoming bilateral free-trade negotiations will progress rapidly.